After a very successful 6th season, Sun Singer, the famous kids singing reality show on Sun TV is back with its 7th season. The singing competition will be held in Tamil language. The show will be hosted by the hosts of previous season Muthu and Nakshathra. Cadbury Oreo is the proud sponsors of the show. 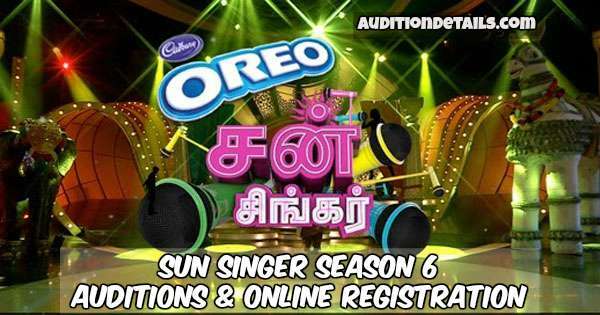 If you think your child has the talent of singing in Tamil, and his age is between 6 to 13 years, your child is most welcome to participate in one of the best singing shows of recent times Sun Singer Season 6. We can see a lot of playback singers in the show like Karthik, Chinmayi, Ranjith, Mahathi, and Vinay Karthik Rajan. The 6th season was a big hit and had very tough competition as all the kids were very good. But beating all odds, the talented Ananya became the winner of the show. The 7th installment of the show will try to replicate the same success. But without any doubt, it is the most popular singing show in the Tamil language. 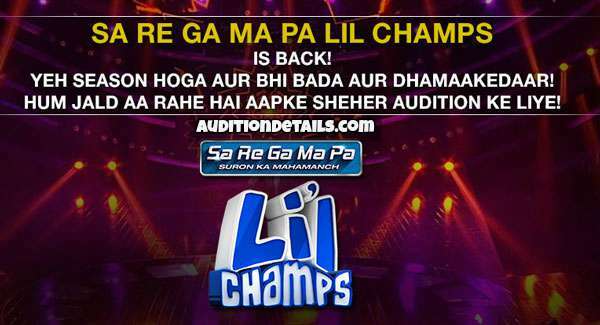 The auditions will be open audition and if you qualify, you will be selected for second round of audition. The venues for the audition are Chennai, Trichy, Coimbatore, Madurai, Tirunelveli, Salem, Erode, Tiruppur, etc. The judges who will judge the kids in the auditions will be Anuradha Sriram, Krish, and Gangai Amaran. There are certain criteria and your child will be able to take part if all are fulfilled correctly. The age of your child must be between 6 to 13 years. Both male and female children are welcome to participate. Children residing at any state or any district can participate in the show. Parent of the children will have to carry valid age proof for the children along with valid identity proof. This is one of the most famous shows on Sun TV, so there is are huge expectations that this show will be as amazing as its other 5 seasons and even more. The auditions are going to start soon. The date has not been yet announced and we will update on our website as soon as the channel release the date. Stay tuned for more updates on Sun Singer Season 7 and if you think your child has the potential, go for it.